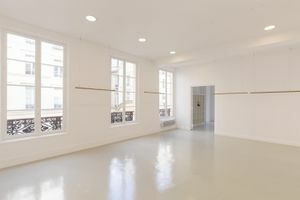 This pristine 80 sqm white space is located in the stylish area of Haut Marais and is perfect for exhibitions, high-end showrooms and private sales. This space has an air of exclusivity with its private entrance and flawless decoration. 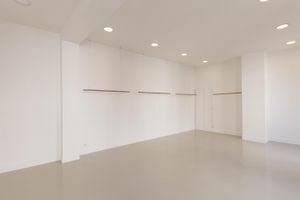 With white walls and a high shine gray floor, this space is ideal to host any luxury product launch or exhibition. 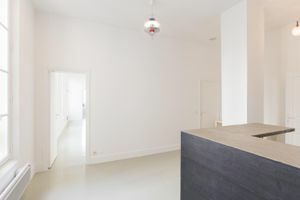 The space is divided into two rooms, of 60 and 20 sqm each. There is also a small kitchen and storage area. 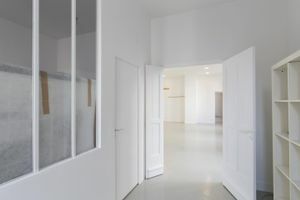 Large windows accompanied by large mirrors and bright white walls makes this space radiant and it is well facilitated to accommodate a sophisticated clientele. 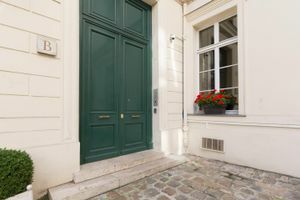 Situated in Haut Marais, this space is easily accessible and favorably positioned while maintaining a level of privacy.